The Dunlop SP QuattroMaxx delivers sports car precision and driving pleasure for high-performance SUVs. Superb road feedback with Touch Technology. 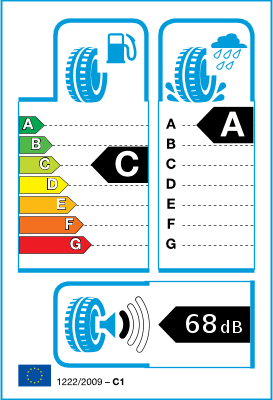 The Dunlop SP QuattroMaxx benefits from Dunlop Touch Technology to give a heightened degree of road feedback. The result is a responsive and more enjoyable driving experience. Good grip on wet and dry roads. The Dual Silica compound delivers high levels of grip and braking ability in both wet and dry conditions. The compound is also long wearing, which means more miles between tyre changes. High aquaplaning resistance. Deep and wide grooves in the tyre tread rapidly eject water, helping you maintain optimal control in extremely wet weather. The SP QuattroMaxx is the ultimate dry handling sporty SUV tyre. It has been developed for the most demanding and heaviest European SUV's, providing outstanding grip to deliver maximum driving comfort and pleasure. Impressive steering precision coupled with reduced rolling resistance and enhanced aquaplaning resistance ensures this tyre always makes an impression. A true road warrior. Sport car precision and driving pleasure for high performance SUV´s: Superb road feedback, steering precision powered by DuPont™ Kevlar®, good grip on wet and dry roads and high aquaplaning resistance. 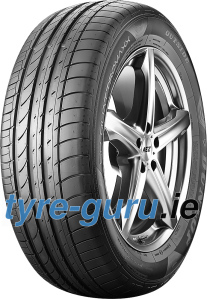 Multi Radius Tread Technology (MRT) enhances dry and wet handling, giving the driver more control in cornering. Dual Silica Compound, is derived from Motorsport technology, it promotes even wear by distributing pressure evenly across the tyre surface. Specific Bead System, a tight link between tyre and rim increases stability and delivers fast, accurate road feedback.